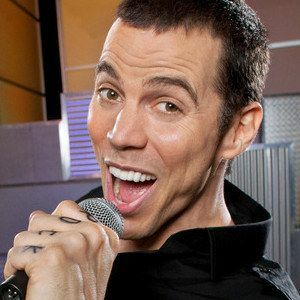 Know for performing dangerous stunts on television and starring in the wildly popular Jackass movies, Steve-O is now taking the safe art of karaoke to a whole new level in truTV's singing competition Killer Karaoke. Set to debut this Friday night, November 23rd, at 9pm, we caught up with the clown college graduate to find out the rules behind this extreme contest of vocal and physical prowess. Watch and learn what it takes to survive Killer Karaoke! Inspired in part by the popular international television hit Sing If You Can, truTV's Killer Karaoke challenges contestants to sing a hit song while Steve-O puts them through hilarious and unexpected physical challenges imaginable. It's the game show that hits all the wrong notes in the best possible way. Each week on truTV's wild new competition show Killer Karaoke, six contestants will attempt to sing songs while facing extreme and sometimes skin-crawling situations. Challenges include trying to sing while fending off attack dogs, while being dunked in a tank with hundreds of snakes, or while sticking bare hands, feet and sometimes even a head into containers containing wild animals.